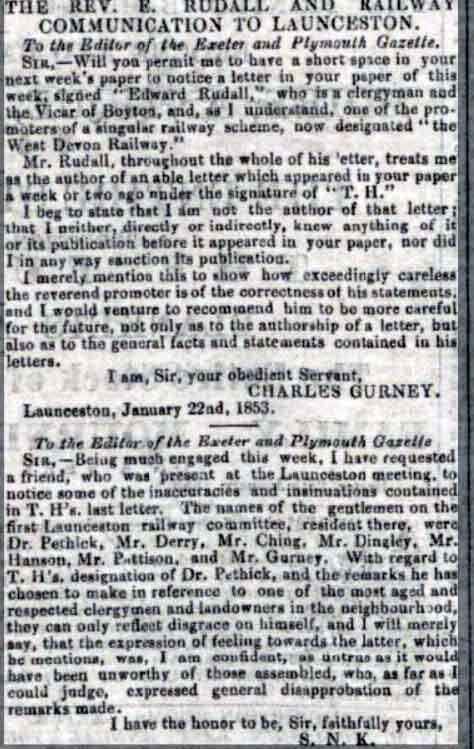 The bio of Charles Gurney | Launceston Then! 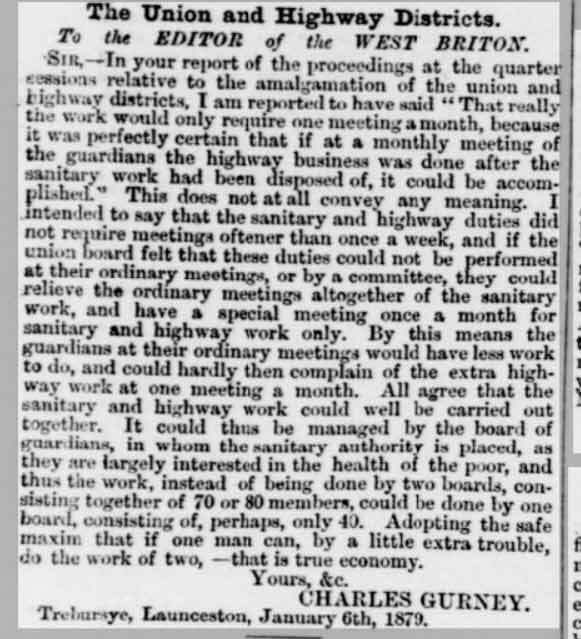 Charles was born in 1805 in Lifton to Gregory and Maria (nee Burne) Gurney. His father Gregory was the youngest son of the Rev. Gregory Gurney of Trevorgus, in the parish of St. Merryn. Gregory junior was the surgeon for Lifton. Charles studied law and on qualifying as a solicitor he joined the firm of Lethbridge, Cowlard and Cowlard quickly becoming a senior partner.In 1827 was appointed a Master extraordinary of the Chancery. In 1829 he married Maria Rowe daughter of Dr. C. Rowe of Launceston and the set up home in Exeter street, Launceston. They had a Son William and a Daughter Ann. As he became more successful he moved his family to Madford House, Madford lane, Launceston sometime in the 1840’s. 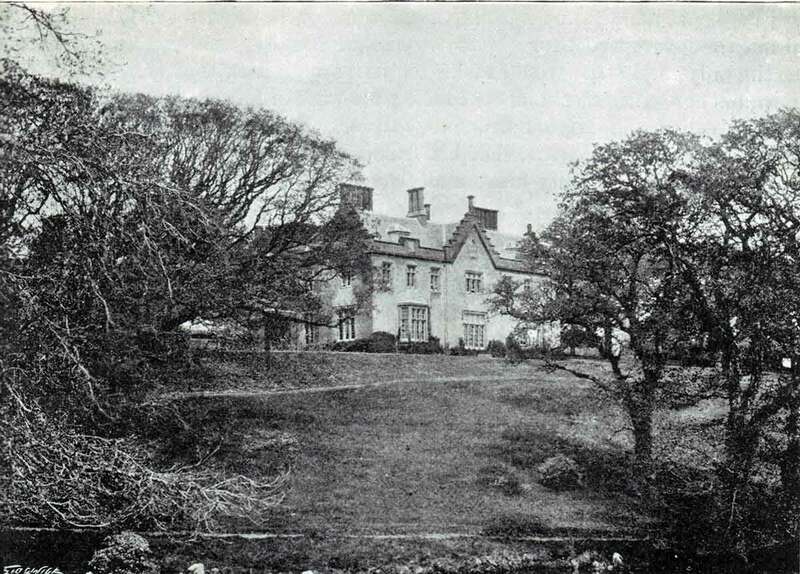 In 1851 with further success in his business dealings he was able to purchase the Trebursye Manor (below) and its associated estate in the surrounding areas. In 1861 Maria passed away and was interred at St. Paternus Church, South Petherwin. Charles was quite clearly a formidable character being brusque in manner with a quick temper and had many a run in with other members within the town. In particular there was little love lost between him and Mr. Richard Peter another solicitor of the town and they had several arguments over the running of the Turnpike trust, of which Charles was the clerk, and the demolition of the Southgate. The relationship probably wasn’t helped by their being of the opposite political persuasion with Charles a strong supporter of the Conservatives and Richard a Liberal. Indeed for many years Charles was the real leader of the Conservative party in the borough of Launceston, when it returned it returned a member to the House of Commons and was chiefly responsible in securing the return to Parliament of Mr. Halliburton (’Sam Slick’), Mr. Justice Lopes, and Colonel Deakin ( Deakin, of Werrington Park had allowed his tenants to kill rabbits on his estate, and sell them; this was a form of bribery. Herbert Drinkwater had published a notice declaring his actions corrupt and asserting that Deakin was thereby disqualified. The judges agreed it was corrupt. A special case determined that the notice did not automatically nullify votes for Deakin. His son was subsequently successful in the by-election later in 1874). Charles held many public positions including Clerk to the town council from 1837 until his resignation in 1869. 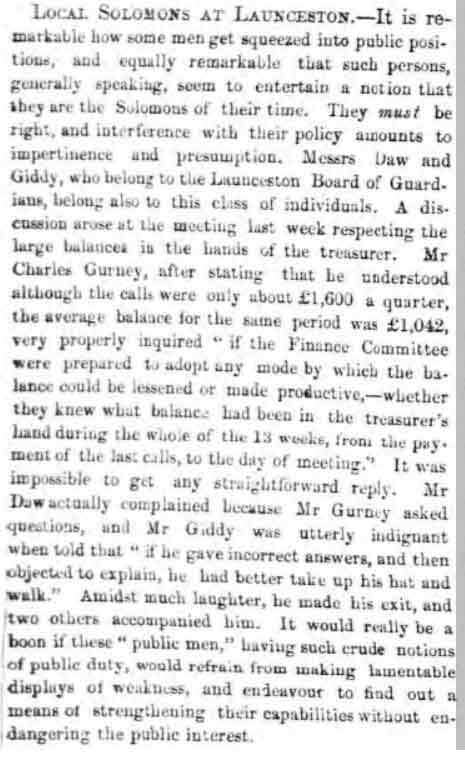 He was also on the board of Guardians, and the turnpike trust. The company of Gurney and Cowlard managed the affairs of Werrington park and its estates when they were owned by the Duke of Northumberland and the aforementioned Colonel Deakin. He was also another influential figure in bringing the railway to Launceston and held a seat upon the board of the London and South Western railway Company. In February of 1881 he was made High Sheriff of Cornwall. 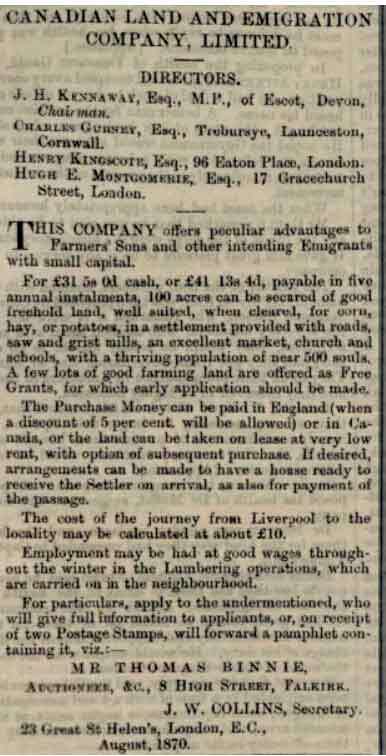 As a landowner he took a keen interest in farming as a whole and with a number of others held extensive estates in Canada. Charles passed away in 1891 at the age of 87 leaving his estate to Miss Ann Gurney his only surviving child. He was interred alongside his wife Maria at St. Paternus Church, South Petherwin. The Gurney family grave at St. Paternus Church, South Petherwin.